The island of Grenada sits only 12 degrees north of the equator and has only two seasons, wet and dry. Our tips for a rainy season vacation at Laluna. The dry season usual follows the hurricane season, offering visitors to the island from 1st December to 30th May, with cool trade winds. A sprinkle here and there can be expected to keep the islands vegetation green. The wet season usually falls between June 1st to 30th November, which can offer heavy intermittent showers. 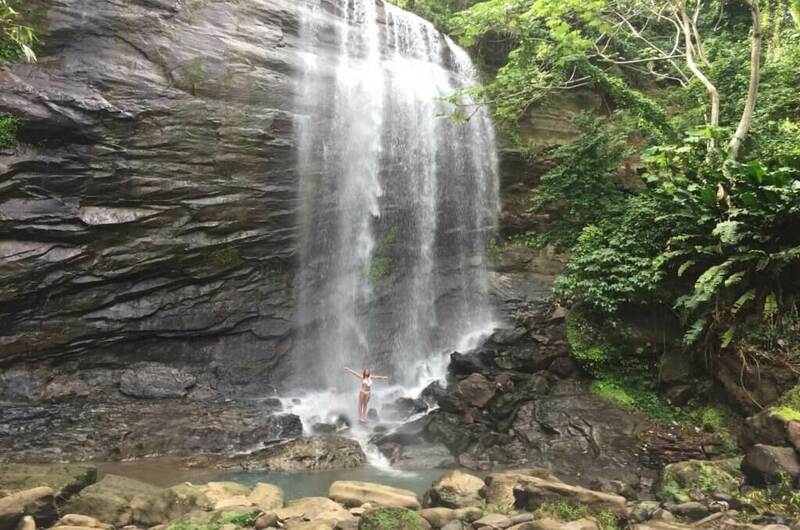 It is also the best time to visit the local waterfalls as they are full with water. In between scattered showers you will catch moments of clear blue skies and brilliant sunshine. These interludes make your Grenada vacation in the rainy season, a pleasurable one. Getting wet on top of the water does not make a difference while being in the water on your Grenada vacation. Try snorkeling or scuba diving at the Molinere Underwater Sculpture Park. 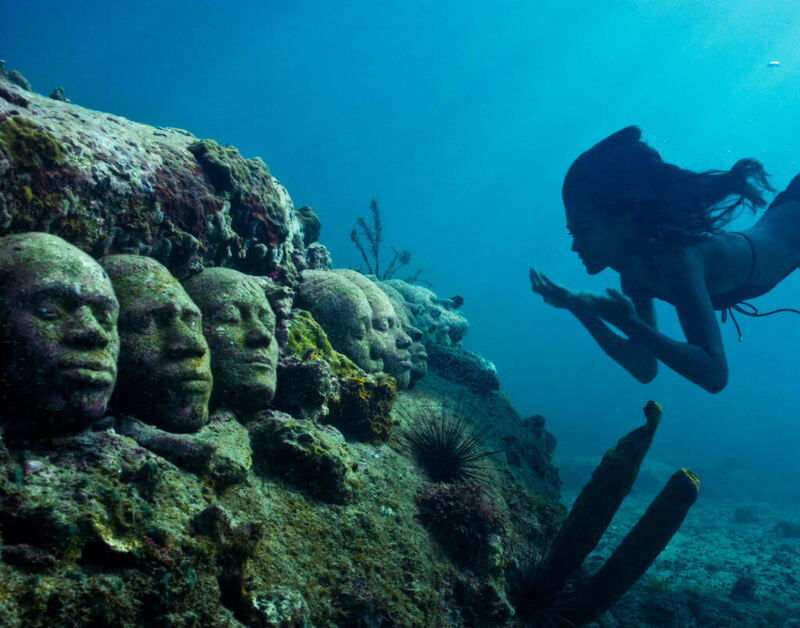 Sculptures made be Jason De Caires in 2006 depicting local Grenadian adults and children, all made with materials to encourage coral growth. Need to keep moving on your Grenada vacation? Get your morning workout at Laluna’s yoga pavilion. We offer daily yoga in Vinyasa, Hatha, Yin yoga or Pilates. Or you can book your Caribbean spa experience, with our Balinese therapists. Schedule your body scrub, detoxing mud wrap in our Vichy shower wet room, get a tatami massage on the floor, Couples Balinese Massage, facial, manicure or pedicure. With all that action, one deserves a hot natural tea from Laluna’s Beach Bar, with daily specialties, including Grenada cocoa tea, fresh mint and ginger and many more infusions. 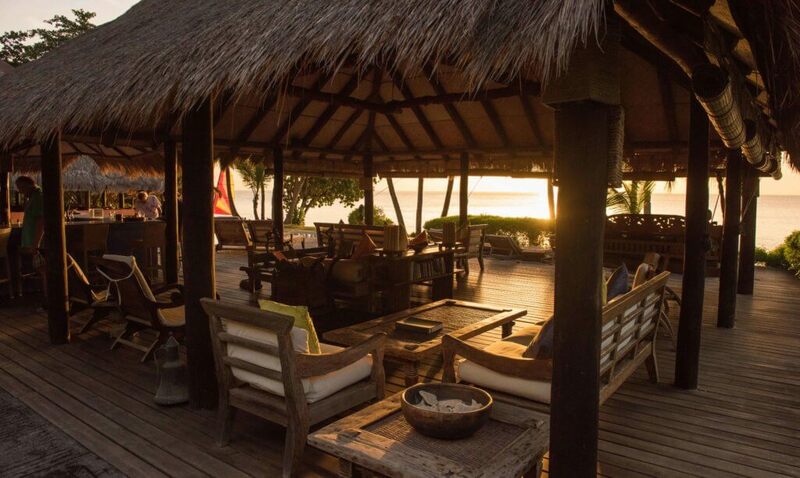 Or catch the sunset at Laluna at the most romantic beach lounge on the island. Capture the day on comfortable Balinese cushions and day beds. Sip signature cocktails with our daily happy hours from 5 to 7pm. Live music on Sundays with Urban and Friends. Not wanting to leave the comfort of your room? Cuddle up on your private veranda with a book from our library exchange. 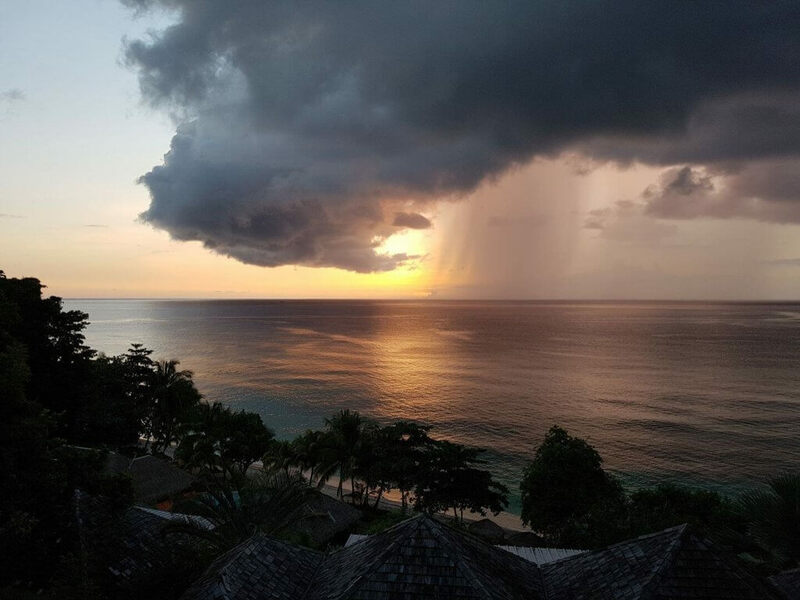 Watch the rain clouds go by on your Balinese Day Bed, making for an incredible sunset. Order room service to pass a romantic night away in your spacious cottage, by candlelight. Choose from a selection of Italian wines that are hand selected from small unknown vineyards in Italy. Enjoy a blissful sleep on your kingsize four poster Balinese bed, with Italian linens. Now this is a vacation…a Grenada vacation in rainy weather.